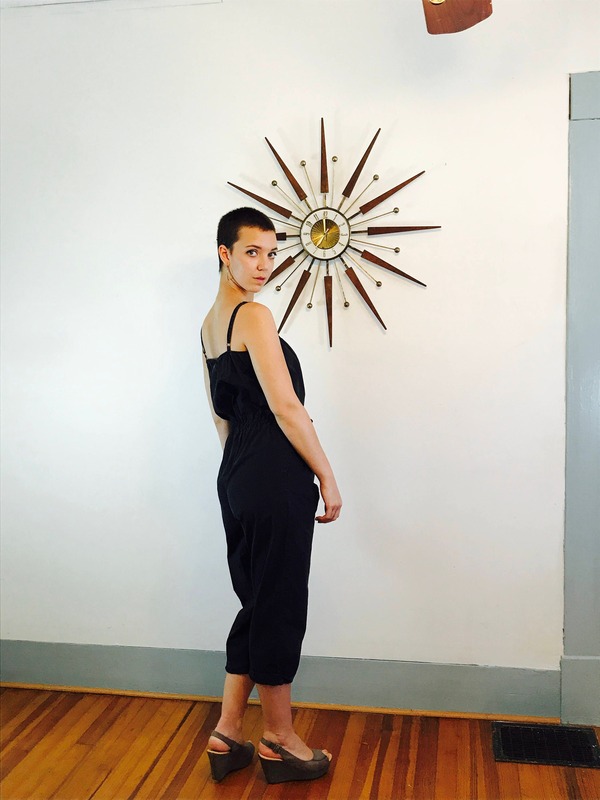 This is such a cool vintage 80s Black Cotton Romper! 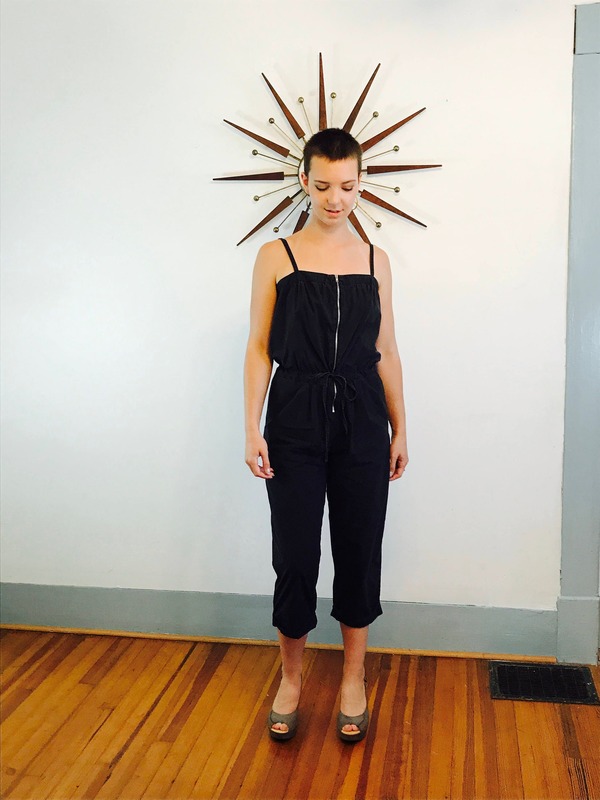 This Spaghetti Strap Onepiece has Cuffed Capri Pants, a metal zipper down the front, and a tie to cinch in the waist. 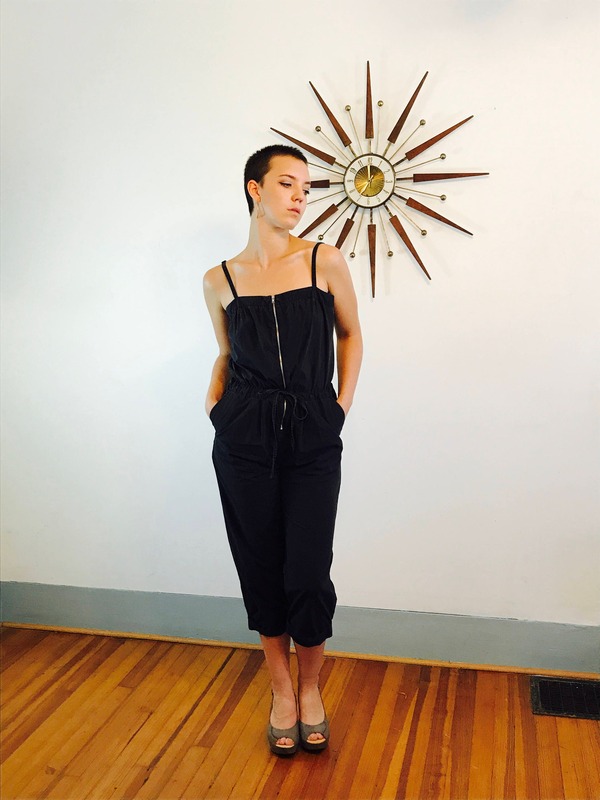 The spaghetti straps of this jumpsuit are adjustable as well! 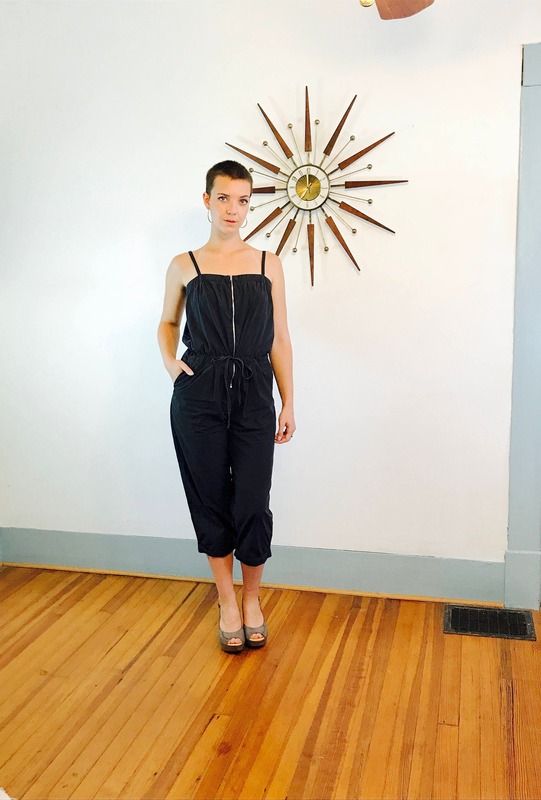 This industrial style Bib Front Jumpsuit is from the late 1980s to early 1990s. 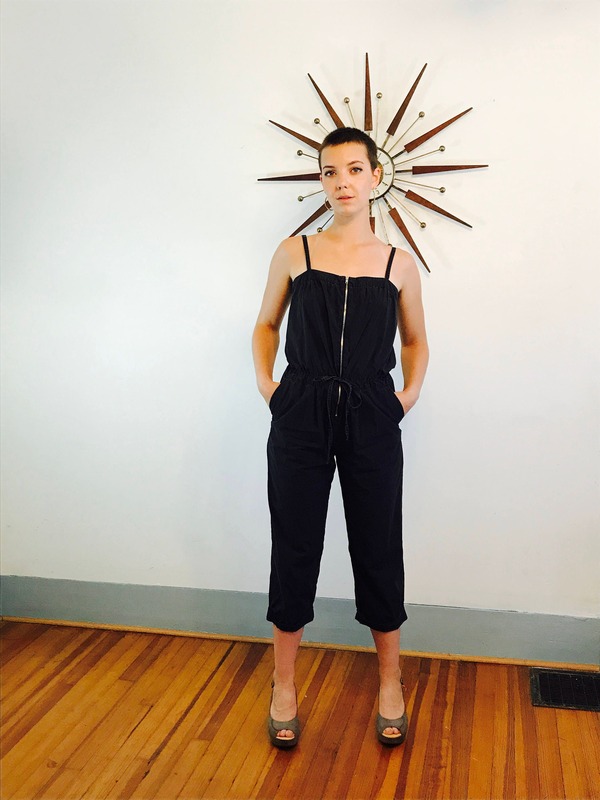 Just imagine all the complements and conversations you will have wearing this outfit! You will know you are the only one on earth who owns anything like them! That is the magic of Vintage! Material: 100% cotton outer, poly lining. Size: 8 (fits smaller sizes too because of tie at waist). 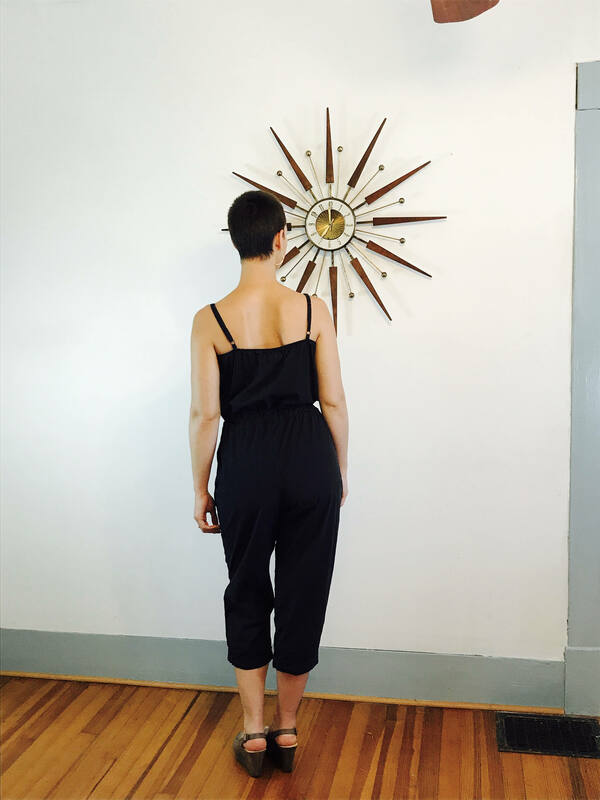 Total Length: 54" adjusts to 55"
CONDITION: Very good! There some fading and faint bleach stains.